If you want a body warmer to wear then look no further than Galvin Green's new Devin body warmer. This is part of their new Autumn/Winter range. The Devin is extremely lightweight and will not restrict your swing in any way. The fabric benefits from Insula Lite technology which acts as a thermal layer to retain your body heat. This helps to regulate your body temperature for the time that you are on the golf course. As well as controlling temperature, the fabric used in the Devin is also highly breathable by allowing moisture to move to the outer layers of the fabric. This body warmer has a full zip to the front, which when zipped up to the neck helps you to keep the elements out. 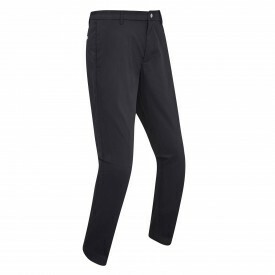 It is made from 94% polyester/6% elastane which allows you to stretch without being restricted. It is available in the choice of three colours and in a number of sizes ranging from S to XXXL. If you are looking for an extremely lightweight, but warm, body warmer then the Devin could well be for you.